I lived in a really cool building at 100 S Dohney Dr during the late 70's. The rumor was that John Travolta lived in the Penthouse, but I never saw him. I did get to photograph him after I received an invite from Rogers and Cowan, the mega PR firm invited me to the Grease party on the back lot at Paramount Studios. 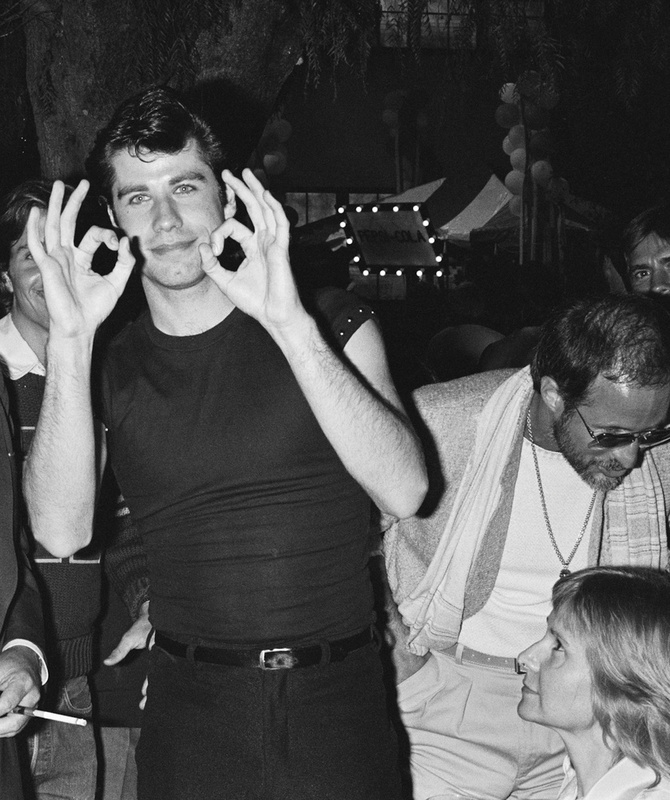 Everyone was there including a young Travolta. Such a blast!